The strange, the unusual, the weird. I’m not sure how many people are “called” to the life of a rattlesnake milker but I assume there are some with such a strong affinity for snakes they couldn’t think of doing anything else. Whole villages in parts of Asia, such as in India, make a significant portion of their income from catching venomous snakes – cobras come to mind – keeping them in baskets and milking them. They hold their heads over a testtube with some material stretched across the top so the snake can ‘bite” into it and express it’s venom. Apparently they have a system where they milk it once then it goes into a basket in a different section = the section of snakes milked once. This is repeated for milking #2 – they go into the “twice milked” section. After the third milking they are released far away from the village so they can recuperate and they aren’t milked to death. 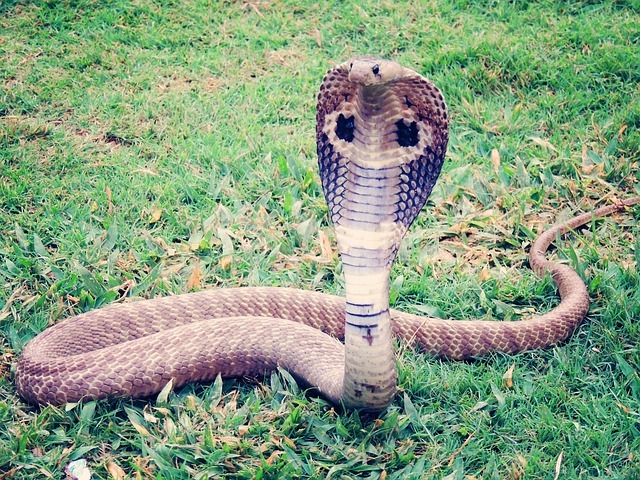 This cobra venom is super valuable for medical research and also as an ingredient in certain pharmaceutical products. Anti-venom, pain killers and even cancer research are areas in which cobra venom is being examined. The other benefit is these village who have been living with cobras nearby for probably centuries, are benefiting financially and by not killing the snakes aren’t upsetting the eco balance of the region. Weird job – Seems important but not one I’d like to do.